When my husband and I were kids, we watched The Three Stooges occasionally, but our kids had never heard of them. Mattie has seen the preview for the new Three Stooges movie and mentioned that he’d like to see it, especially since it stars Sean Hayes (from Will & Grace — and Mattie has seen most of the old episodes with his sister). Many times I tell him to wait for a movie to come out on DVD. 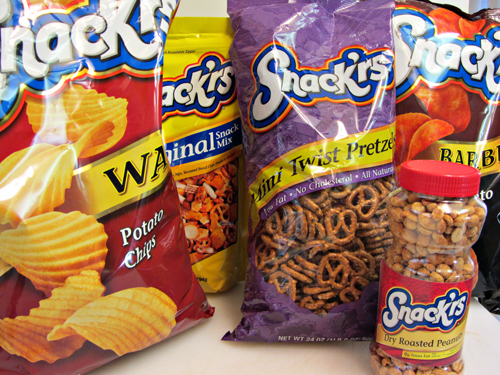 But he was in luck for The Three Stooges Movie: Smart and Final is offering a great deal….a free movie ticket to The Three Stooges when you buy any two of their Snack’rs brand products (now through April 17, 2012). Since the kids weren’t familiar with The Three Stooges, we decided to have a little Three Stooges movie night at home with some of the snacks we were going to buy at Smart and Final. 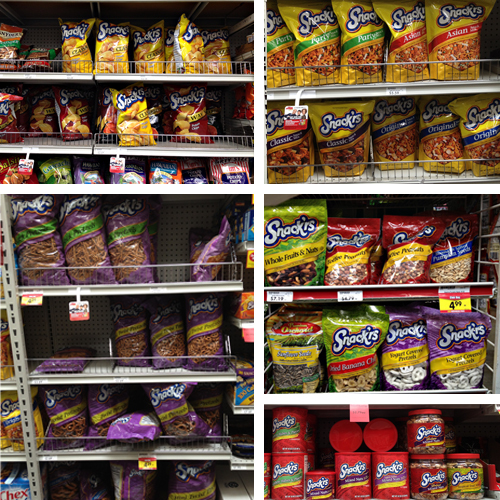 We headed off to Smart and Final to check out their Snack’rs line of products and found LOTS of choices: potato chips, nuts, pretzels, trail mix, and more. The crazy part is that you could buy two items and quite possibly spend less than $6, but it’s for a movie ticket up to $9 in value! I ended up buying two bags of Snack’rs potato chips (one wavy and one barbecue), a bag of Snack’rs snack mix, Snack’rs mini twist pretzels, and a jar of Snack’rs dry roasted peanuts. When we checked out, we had the coupon code right on our receipt with instructions for redeeming it. It was so easy and a great deal. 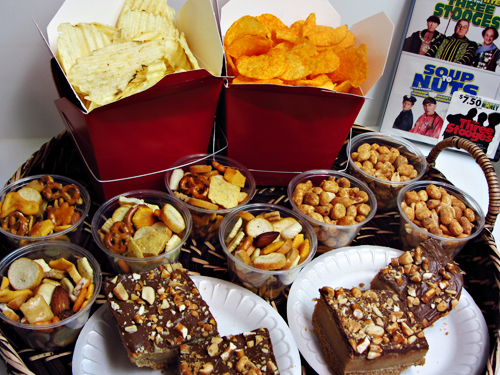 For our Three Stooges movie night, I decided to use some of the Snack’rs items I bought to make a desert, as well as putting together an assortment of items for the kids to enjoy. 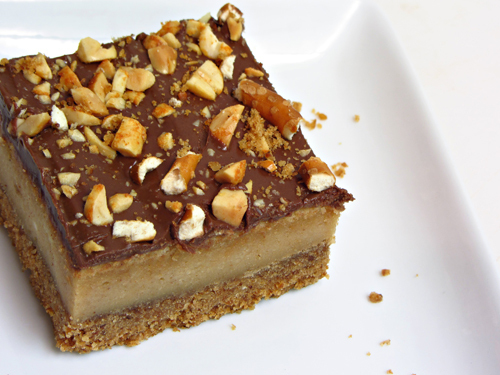 The dessert I created is called Peanut Butter Pretzel Cheesecake Squares — a perfect little mix of sweet and salty! 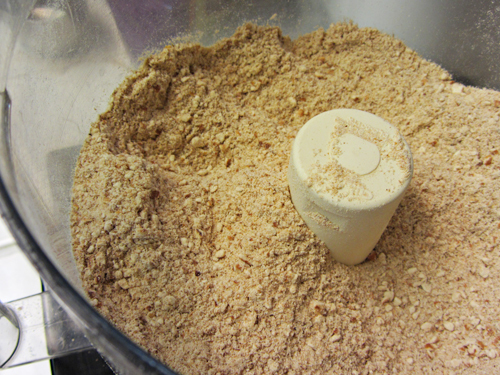 To start, grind up pretzels in a food processor until they are fine. To the finely crushed pretzels, you will add melted butter and sugar. 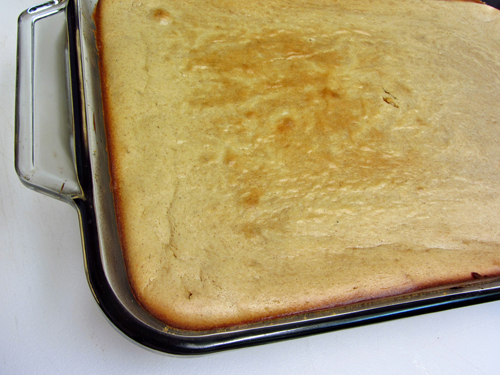 This is pressed firmly into a 13×9″ baking dish and is baked for 10 minutes and then allowed to cool. 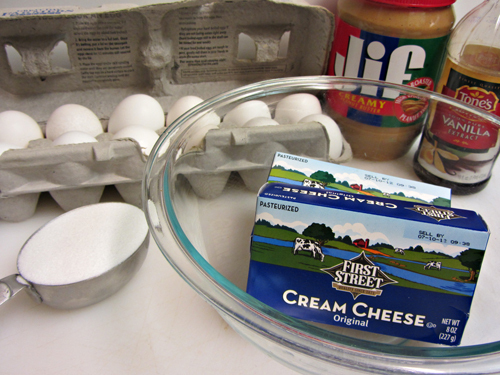 While the crust is cooling, you will mix up two packages of cream cheese, 1 cup of peanut butter, a bit of vanilla extract, sugar, and 4 eggs. 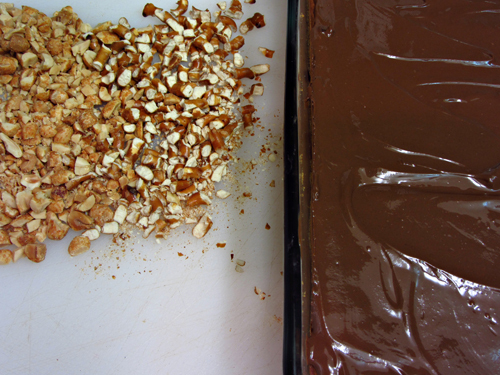 This mixture is spread on top of the cooled pretzel crust. The cheesecake is baked for about 35 minutes and then left to cool. 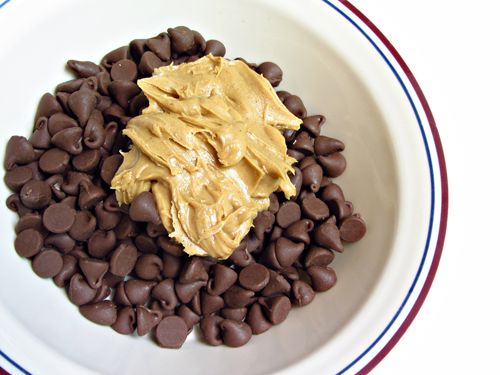 Melt together 2/3 cup chocolate chips and 3 tablespoons peanut butter. I do this in the microwave at 20 second intervals, stirring well after each 20 second period. The melted chocolate is spread on top of the cheesecake. At this point, you can top with chopped peanuts and/or chopped pretzels, if you wish. Place in the refrigerator until the chocolate has set. Now it’s ready to cut into squares and serve. 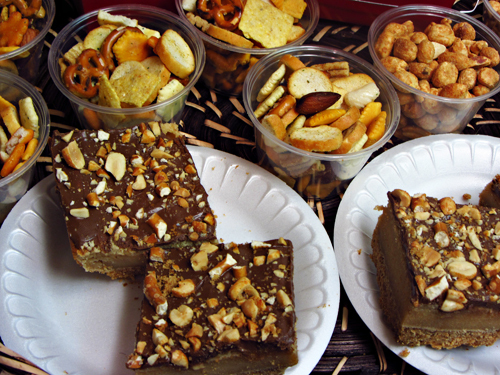 After I finished the Peanut Butter Pretzel Cheesecake Bars, I created a tray of snacks for our movie night. 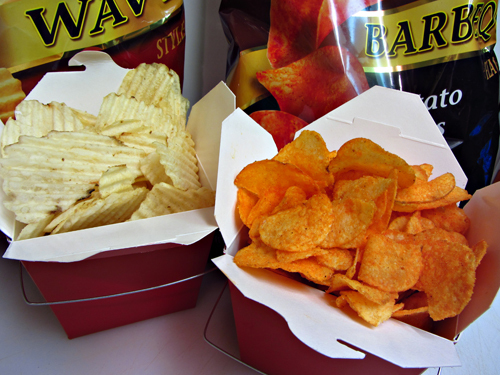 I placed the Snack’rs potato chips into bright red take-out food boxes. 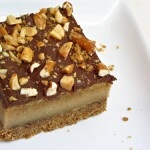 I placed the Peanut Butter Pretzel Cheesecake Bars on First Street 6″ Foam Plates. I also filled several First Street 4 oz plastic souffle cups with peanuts and snack mix. All of our snacks were assembled on a big round tray that we placed on our living room coffee table for everyone to enjoy. 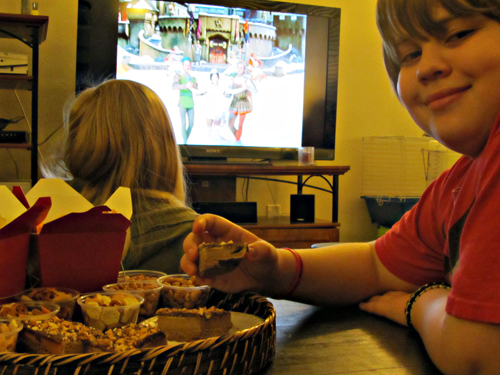 We gathered with the kids and watched Snow White and The Three Stooges and enjoyed all of our yummy snacks! Preheat oven to 325 degree F. Grease a 13×9″ baking dish with cooking spray. 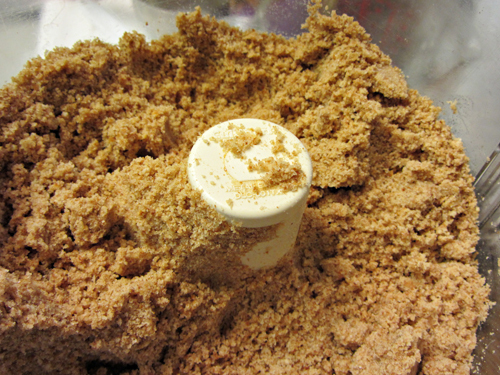 In food processor, finely crush pretzels so that you have 2 1/2 cups of fine pretzels crumbs. Pulse in sugar. With processor running, slowly add melted butter. 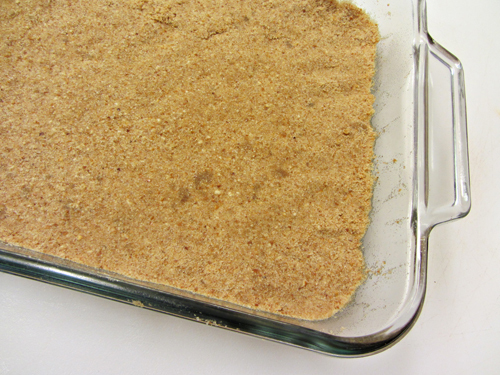 Mixture should resemble just barely moist sand. When you squeeze a handful of it, it should keep it’s shape for the most part. Press into prepared baking dish. Bake for 10 minutes. Remove from oven and allow to cool complete. 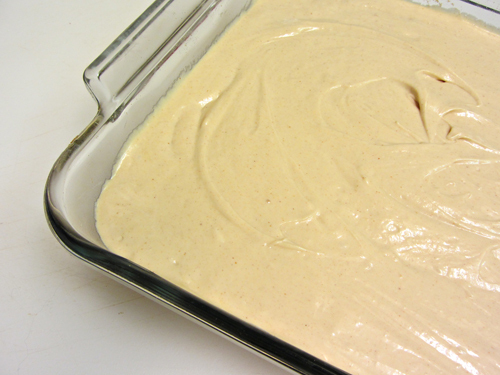 In a large bowl or stand mixer, beat together cream cheese, peanut butter, and vanilla extract until well blended. Sprinkle in flour and sugar and beat until creamy. One by one, slowly add the eggs, beating between the addition of each egg. Pour and spread mixture over cooled crust. Bake at 325 degrees for approximately 35 minutes or until a knife inserted in middle comes out clean. When done, remove from oven and allow to cool. In a small bowl, place 2/3 cup chocolate chips and 3 tablespoons butter.Melt on low or medium in your microwave at 10-20 second intervals (actual time depends on your microwave). Stir well in between each interval. Spread melted chocolate/peanut butter mixture on the cooled cheesecake. Sprinkle with chopped nut and/or pretzels, if you prefer. 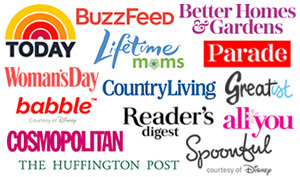 This project has been compensated as part of a social shopper insights study for #collectivebias #CBias All opinions — as always — are 100% my own. I want to watch movies at YOUR house! 🙂 Those cheesecake bars look delish! Can’t wait to try out the recipe. These look awesome, I can’t wait to try them! Peanut Butter and Chocolate is a match made in heaven, and then to add Pretzels just has me drooling. 🙂 Thank you so much for sharing! This is making my mouth water…they look delicious! I’ve never thought of using a pretzel crust before but anything with peanut butter and chocolate (my favourite combo) is a winner in my books! Looks like your family had a lot of fun! Thanks Denise! It’s one of husband’s favorite combos too, so I thought it would be a great pairing. These look fabulous thanks for the comments! Thanks Sheila! Now off to check out your Blueberry Banana Bread French Toast…yum! I don’t know a kid that would turn these down! They look fabulous and the salty pretzel and chocolate will go good together. Thanks for sharing! Thanks BestFoodies! I know mine definitely ate them up! 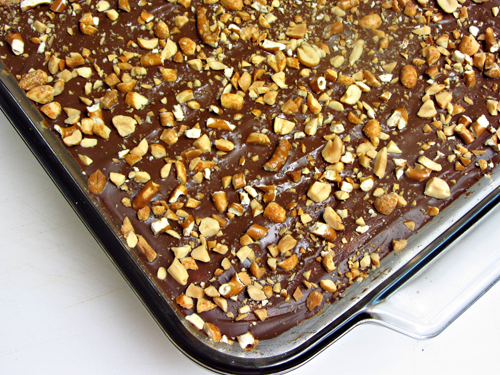 Totally loving the pretzel crust – that is such a great idea! It looks fabulous! Thank you Amy! My husband’s love of peanut butter pretzels (those kind with the peanut butter filled in the middle) & peanut butter M&M’s (my personal fave) were my inspiration. Oh, Brandie, these made my jaw drop. Evernoted to make asap! THANKS! Thanks Cindy! I’m an Evernote user too…love it for organizing and saving recipes.